La Jolla United wpc's dedicated team of coaches are here to advance your athlete to their next level of water polo success. Combining for over 50 years of coaching and playing experience all our coaches are SafeSport certified, members of the Positive Coaching Alliance and adhere to the USA Water Polo coaches code of conduct. 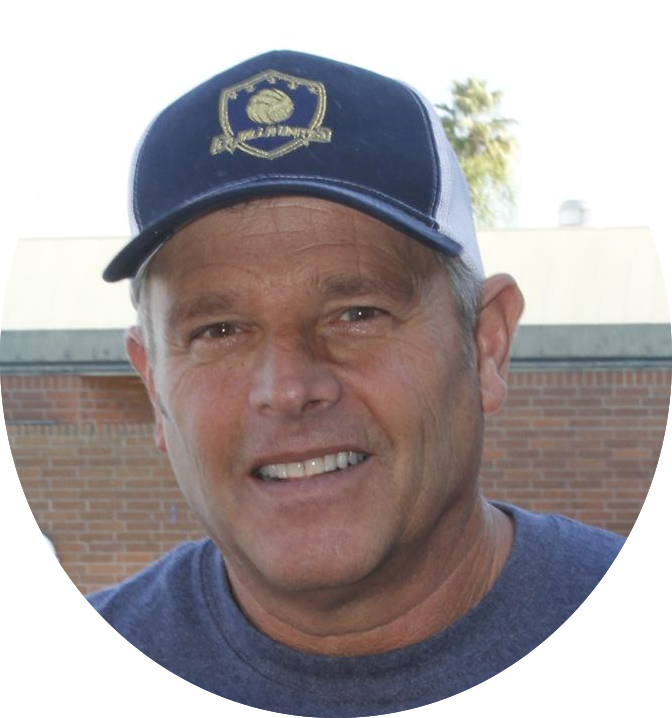 Coach Fales founded The Bishops School and San Miguel water polo programs in 1987 and was a core faculty member, coach and aquatics director for 30 years. His leadership earned the team 19 City League titles and graduated over 50 High School All Americans. During his tenure, The Bishops School won San Diego Section CIF titles in; 1992, 1997, 2002, 2003, 2004, 2005, 2006, 2008, and 2010. Coach Fales was voted CIF coach of the year 9 times. 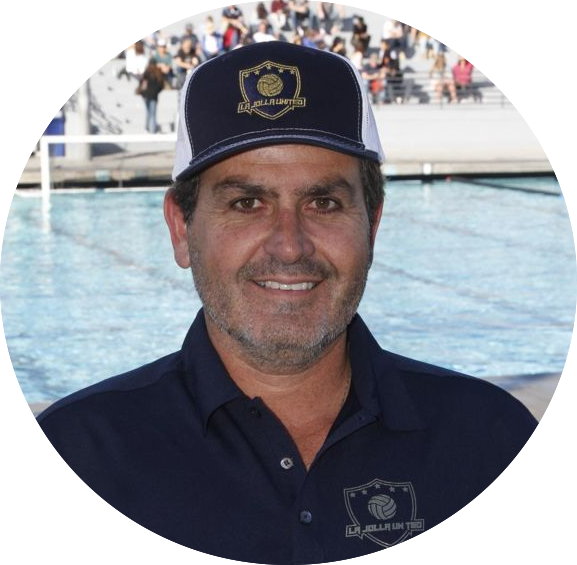 Arman Momdzhyan contributes 13 years of national and international water polo experience to La Jolla United wpc. A four-time college All-American and recent UCSD graduate, Arman has aspirations of attending graduate school in 2019 to pursue a degree in education. Arman's most recent water polo accomplishments include; 2-time ACWPC Division II Player of the Year at UCSD, and a 2-time (CCCAA) All-American. Arman competed at Glendale High School where he helped his team win three Pacific League titles, as well as the 2013 CIF title. Arman was a 3-time all CIF player and 2-time All-Pacific League MVP. Arman compiled 451 goals in his 3 year high school career. He strives to provide his energy and give back the experiences that helped mold him throughout his water polo journey. 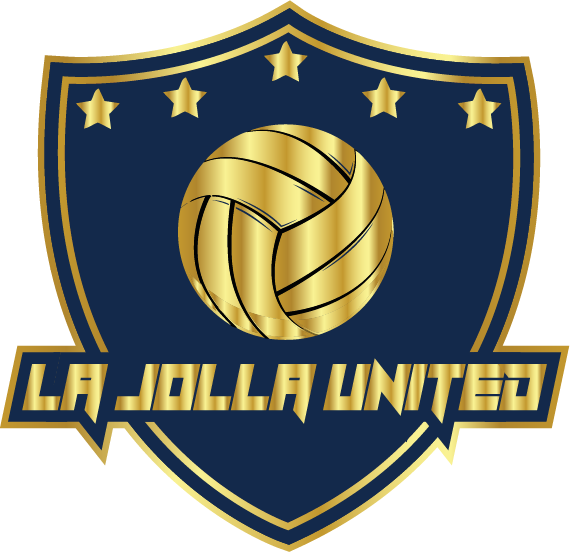 Arman's style and approach are aligned with La Jolla United wpc culture and goals. Graduated from La Jolla High School... 4 year varsity student athlete at Pepperdine University. Started coaching at La Jolla wpc in 2011. Program starter and current head coach of Mens and Womens water polo at Francis Parker School. Club, collegiate and international experience. Passionate about the sport of water polo and its positive growth. Toni was born and raised in São Paulo, Brazil. He started playing water polo at the age of 10 for his local club, SHT. At age 16 he was recruited by Club Athletico Paulistano one of the major water polo forces in Brazil. As the top goal scorer and MVP in the country, Toni became a 3 time consecutive national champion and was invited to represent Brazil's national water polo team.Toni competed in 3 Pan-American games, winning 1 silver medal and 2 bronze medals. Toni went onto play professionally for the prestigious, Racing Club in France. After retiring, Toni became a successful coach and club manager of his own club in Sao Paulo, Aquatica Natacão e Polo Aquatico. Toni now lives in La Jolla, where he came to complete a degree in higher education. 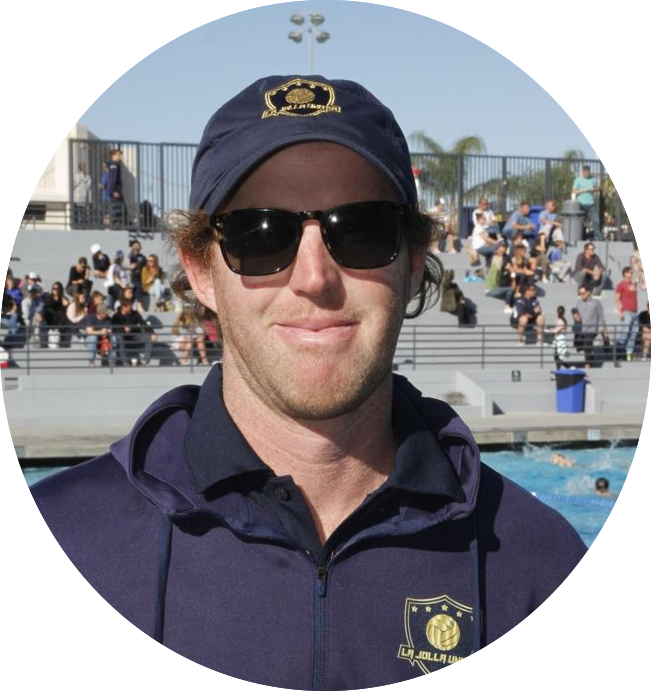 Prior to joining the La Jolla United wpc staff, Toni assisted at Del Mar wpc and Carlsbad water polo. 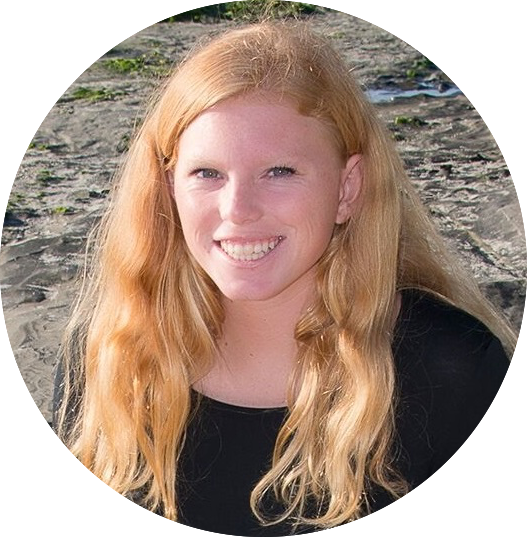 Rachel Lobato was born and raised in San Diego, and learned how to play water polo at La Jolla when she was 11 years old! She played at the Windansea water polo club through high school, and was a 4-time varsity letter winner at Mission Bay High School. At Mission Bay, Rachel lead her team to 4 consecutive league wins and CIF appearances. Rachel competed as a Div 1 athlete all four years at Harvard while earning a degree in Human Evolutionary Biology and a minor in Spanish Language. Rachel taught English in Spain for one year, while playing on the club water polo team C.N. Reales in Tenerife. In addtion, Rachel continues to coach Miramar College and is returning for her second women's varsity season at La Jolla High School. Rachel is currently a graduate student at UCSD working towards an M.Ed. and teaching credential. Alessandro Valania was born and raised in Savona, Italy. He started playing water polo at the age of 11 in his local club Rari Nantes Savona. Alessandro debuted in the major Italian league, in Euro Len, and in the major league in New Zealand before deciding to continue his studies in California. Alessandro is currently finishing his education in BS Psychology at UC San Diego after completing his water polo college career. 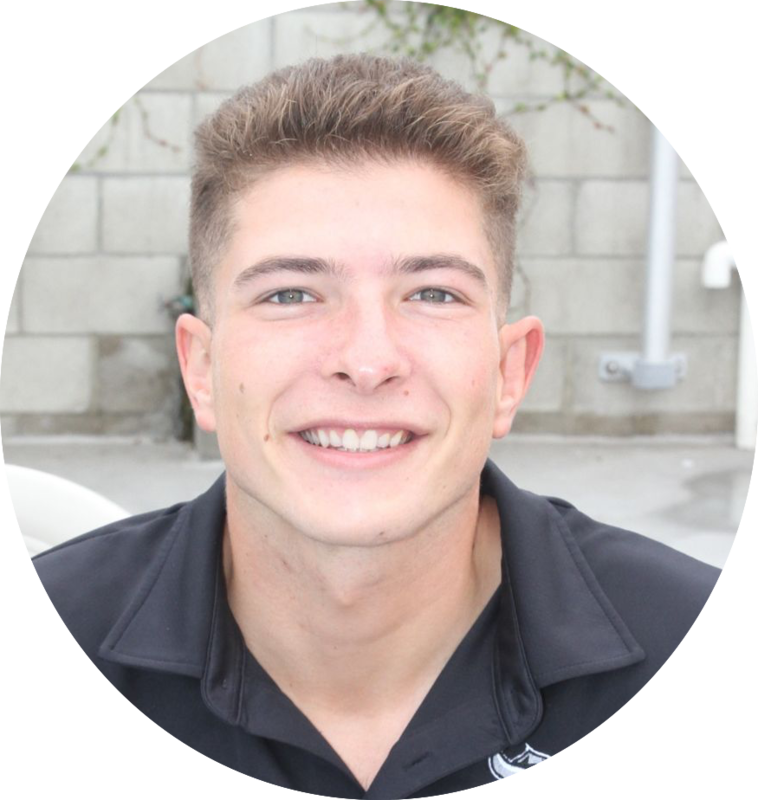 Bennett Bugelli is a former member of La Jolla wpc and a 2017 graduate of La Jolla High school. Named All-CIF First Team as a senior ... Was an All-CIF Second Team selection as a junior ... Selected as the AFC Tournament Most Valuable Goalie as a senior ... Named the LJHS girl's water polo MVP as a senior ... Recorded 264 saves, 29 assists and 16 steals while only allowing 94 goals her senior year. As a freshman in 2018 ... ACWPC All-Academic Superior list ... WWPA Tournament MVP ... UCSDtritons.com Athlete of the Week (5/2) ... Collected 22 saves and surrendered just two goals over 56 minutes in three WWPA Championship games (two starts), lifting Tritons to sixth straight title ... Bennett adds her wealth of specialized knowledge and goalie training to all La Jolla United wpc goalies.